“Artoo, Lightspeed to Endor!” That’s how the journey to Endor has begun for years, following a few minor mishaps of wrong detours. Millions of people have heard that line over the last 23 years, and somehow they always never make it to Endor. I’m of course referring to the Star Tours attraction at the Disneyland Resort. 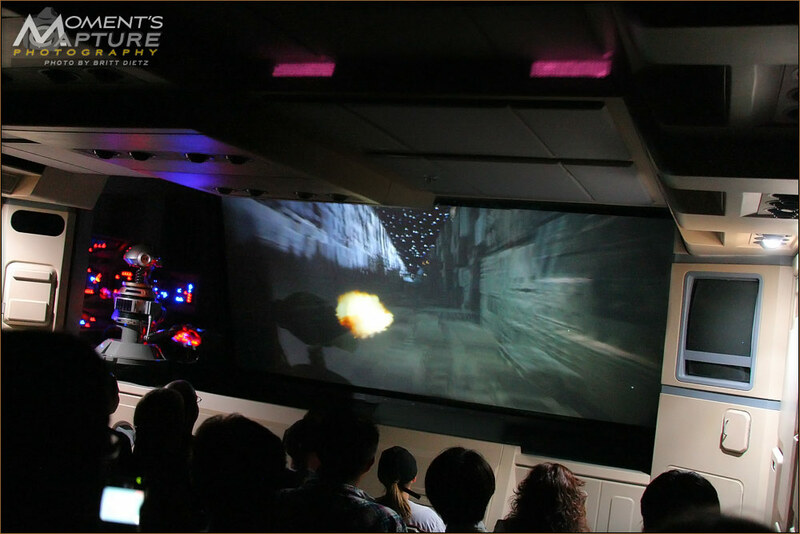 It’s a simulator motion ride based on the Star Wars movies created by the director George Lucas and amazing minds at the Walt Disney Company. 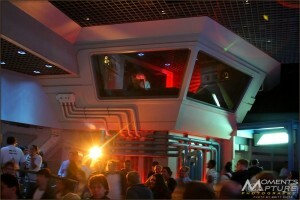 Opening in 1987 to the Tomorrowland section of Disneyland, Star Tours was an innovative ride that combined the motion of a military style flight simulator synchronized with the wonderful footage of a Star Wars space battle which highlight the tour to the Moon of Endor that goes all wrong for a brand new robotic pilot who’s just learning the ropes. 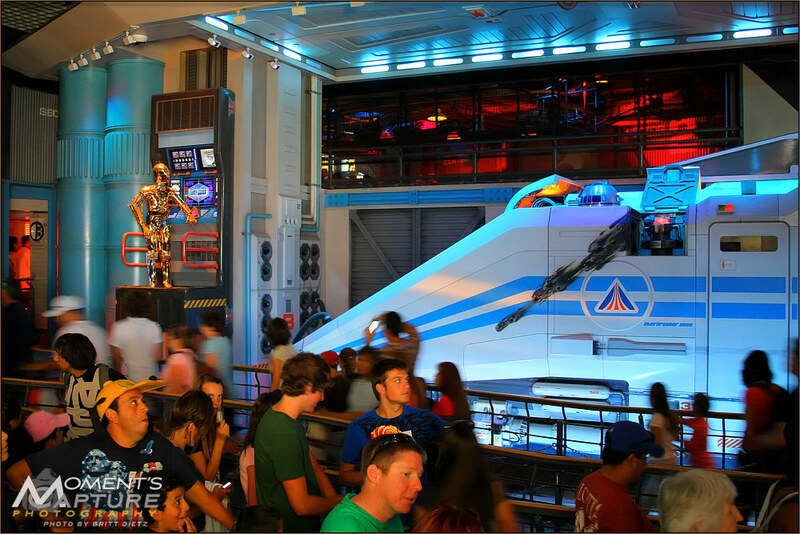 Most any Star Wars fan or even many Disney fans can recite the entire dialogue from memory from all the times they’ve rode the Starspeeder 3000 spaceships on the fateful tour. Being over 20 years old, however, the fans have been asking the big questioned of when the ride would get an update and face-lift. 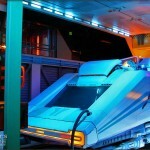 For years there were many rumors of Star Tours closing to be changed into a variety of different rides, but it wasn’t until just a few years ago in 2005 that George Lucas himself announced that Star Tours would be getting an upgrade. 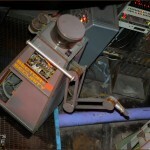 The rumors started with a variety of reports of what Star Tours would end up becoming once it’s changed. From changing the Starspeeder ships into Pod Racers that you could ride in to crazy stories of being in the Millennium Falcon and being able to fire laser canons at TIE Fighters, the ideas were just that crazy to not be widely believed. They continued to circle, at least until finally the first hints of the new Star Tours news came to light in two separate events. 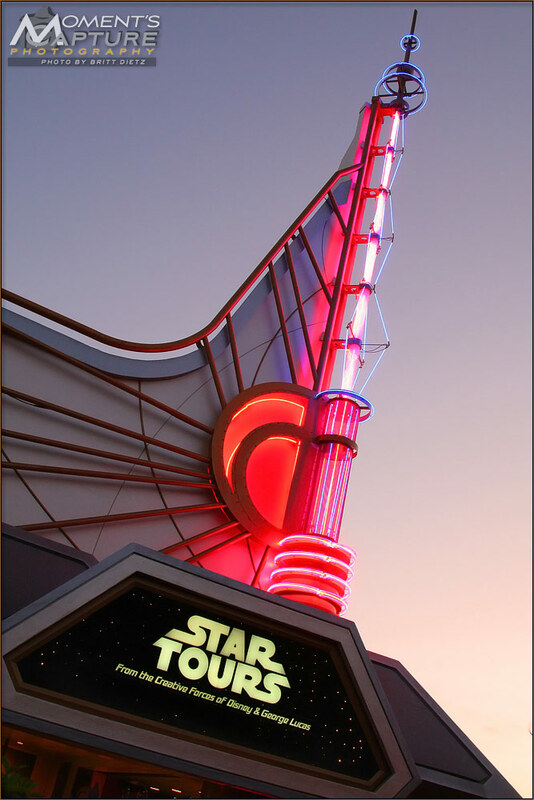 In May of 2009 the magazine iFilm reported that filming for the new Star Tours II ‘movie’ was being done in West Hollywood, California. 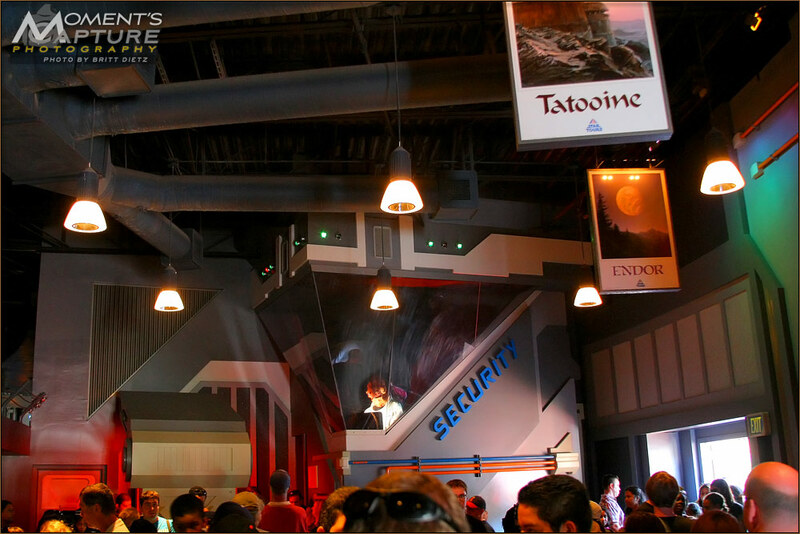 Some characters were spotted including the famous cult favorite Bounty Hunter Boba Fett, and the excitement started to grow. 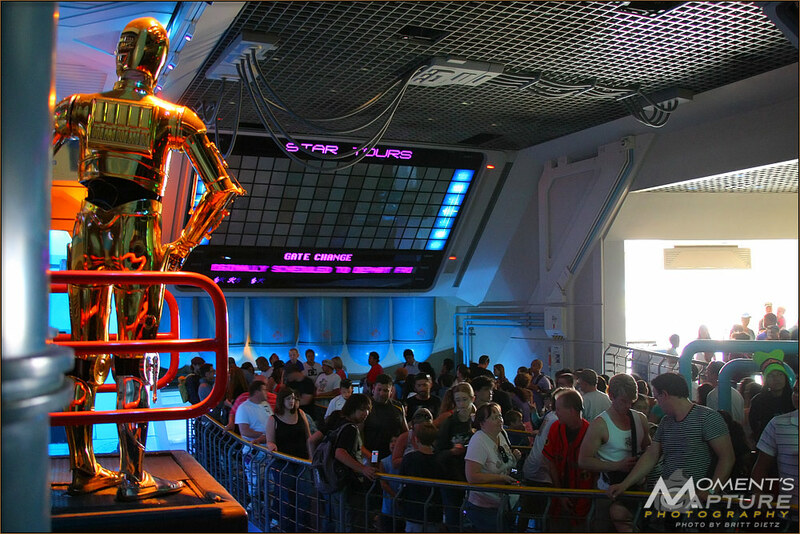 While that started back up the rumors of what the new ride will entail, it wasn’t until an announcement at the Disney D23 Fan club convention in 2009 that the finalized confirmation of the new Star Tours was set. 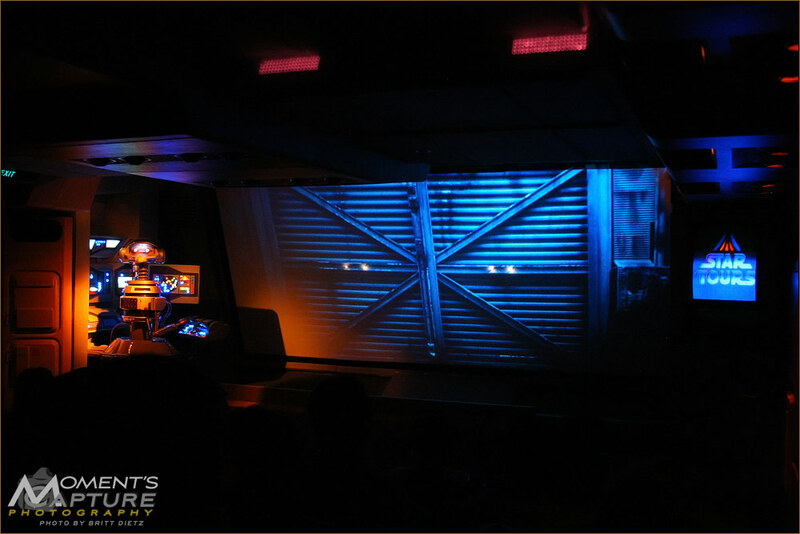 Not only that, a brief look at the new Star Tours was shown and the big announcement that the new Star Tours would be in 3D also headlined the panel. Soon after, when the Opera House which hosts the famous ‘Great Moments with Mr Lincoln’ Attraction reopened in 2010 at the Disneyland Resort, the addition of a large gallery showcase of attractions from the opening of Disneyland to recently featured a section on the new Star Tours with a look at some production stills from the new movie and a model of the new Starspeeder 3000 spacecraft. Jump forward to present day, well Monday actually. 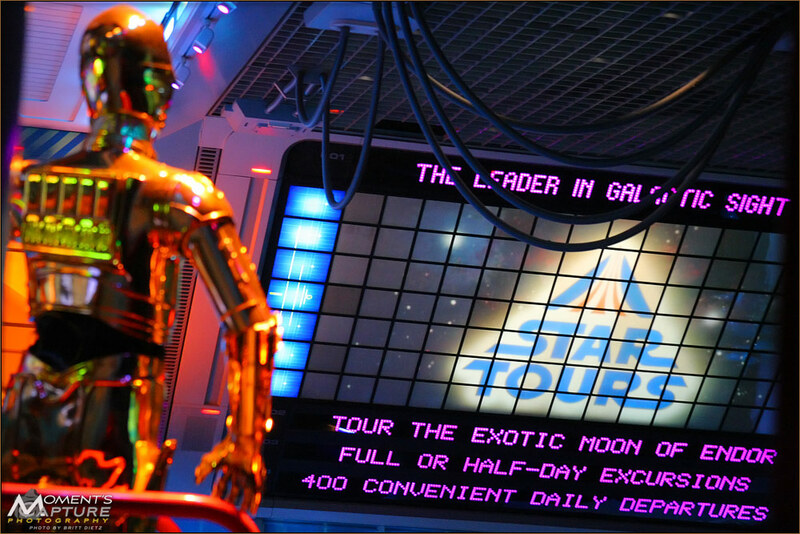 July 26, 2010 marked the date of the last flights to Endor as Star Tours would close for the beginning of Star Tours 2.0 (as it’s being called). 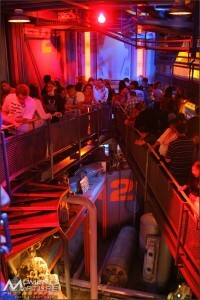 The ride would operate until the Disneyland Park closed at Midnight, then it’d be shut down until it’s reopening with the new tours sometime in May/June of 2011. 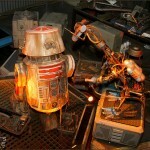 Naturally, hundreds of people flocked to Disneyland to take one last trip to Endor courtesy of the robotic pilot Rex. 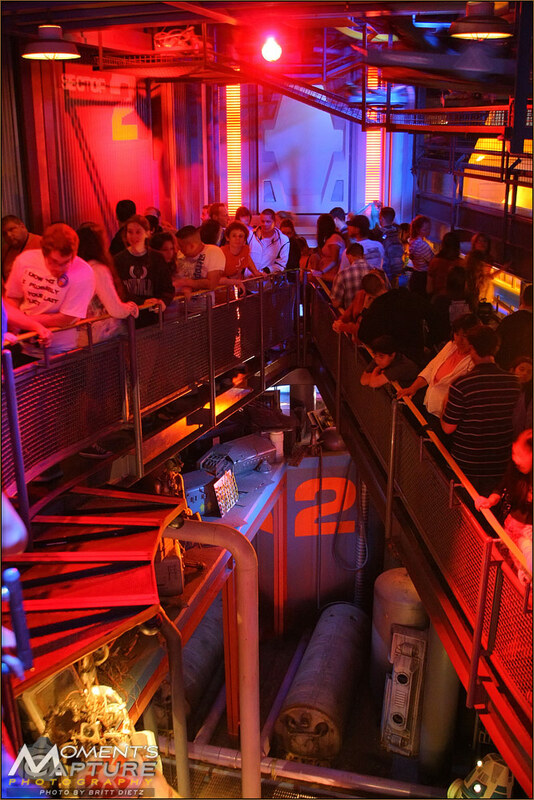 Lines hovered at 40-50 minutes all day long to get on board the ride, and many people were going on the attraction over and over again. Most of these people knew what was going on, but there were still quite a few random tourists who just thought it was another day of the attraction. 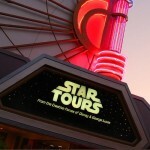 This was all dispelled when the hosts and loaders would spiel that it was indeed the last day of tours to Endor for the crowds which met with sad BOOs from the crowd and cheers that they were on the ride for the end. Naturally, being a Star Wars fan and a long time Star Tours enthusiast, I made sure my schedule was clear in order to take a few missed trips to Endor one last time. 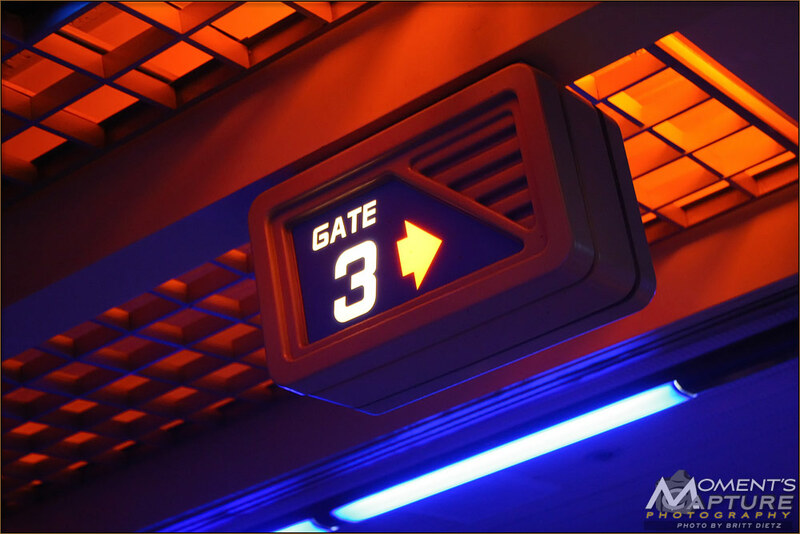 Since no one really knows what the new Star Tours will be like aside from the ends we’ve been given, I wanted to make sure to document the entire ride from the queues and entrance to the attraction itself and the exits. 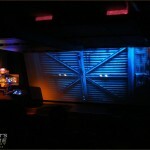 My last journeys on Star Tours started at about 5pm when I got to the park and linked up with a couple friends. The idea was to go on the ride a few times at the least, and to try and be one of the last ones to be on the ride at midnight. Immediately getting to the attraction, we realized that we wouldn’t be able to ride it as often as we thought with the 40-50 minute wait, but we decided to get in at least a couple. Getting in line at that time for the first ride of the day, we were taken into the extended queue room, which isn’t open all that often for guests. 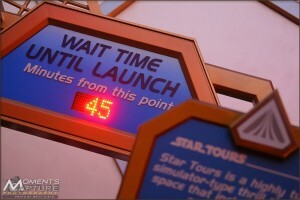 The line for Star Tours usually is nonexistent unless it’s a very peak packed day at Disneyland, so the extended queue is not necessary and closed off. 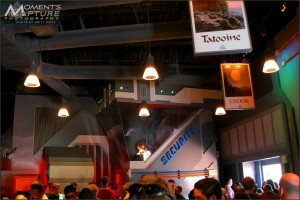 I was really glad to be able to be in the extended queue, and started to fire away taking shots almost right away. All around you could see people taking photos of everything and anything Star Tours, a sea of LCD screens almost provided enough light for the whole room to be well lit. Some people had custom made shirts that proclaimed their last time on the ride, and others just had generic Star Wars shirts or whatever they could find to show their support. 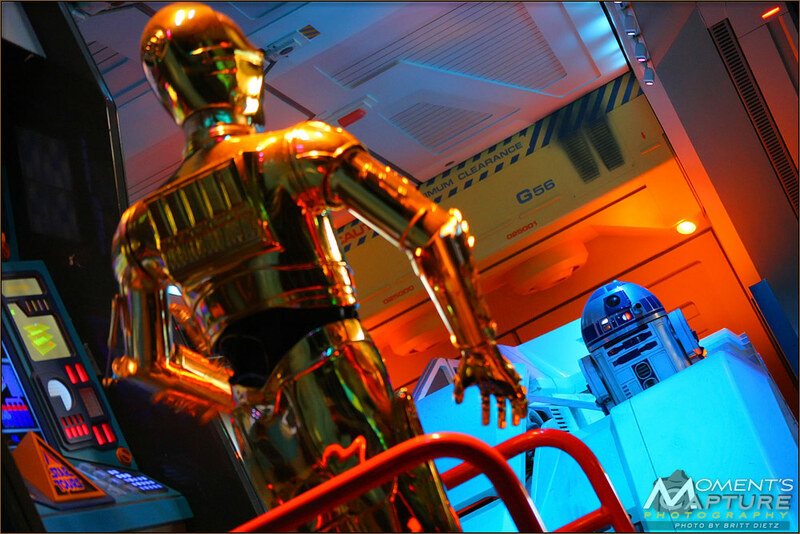 Inching forward slowly, we finally made it into the main queue room, we’re met with the sounds of the robotic protocol droid C-3PO and astromec droid R2-D2 as they work on one of the Starspeeder ships, often accidentally turning on the laser canons much to the frantic panic of C-3PO. Occasionally, the overhead speakers would come on and the large screen comes to life showcasing a commercial for one of the many destinations of the Star Tours company in the Star Wars galaxy. We ended up being in the queue for enough time to actually see all the various commercials that play and started to see them repeat. I took well use of this time in this room to heavily photograph anything and everything I could along with the other hundreds of people there with us. The atmosphere was pretty exciting, you could sense people were really anxious to go be a part of the battle of the mysterious third Death Star while on the way to Endor. I tried to really get as many non-flash shots as I could, using natural light in this room, which was a challenge with the lack of light or surfaces to lean on to stay steady since I was hand holding the shots. Finally making it into the droid factory room, we were bombarded with the sounds of the two worker droids (bit of trivia, the droids are the robotic insides of the chickens from the old long-gone Tomorrowland attraction ‘America Sings’ and strangely look a lot like Wall-E) slacking off at their work and being reminded by the ever calm female voice that productivity needs to be increased. There’s a running gag between myself and a few other people that the rotating yellow lights to the right of this room with all the pipes and structure supports looks like something out of the Jurassic Park movie. 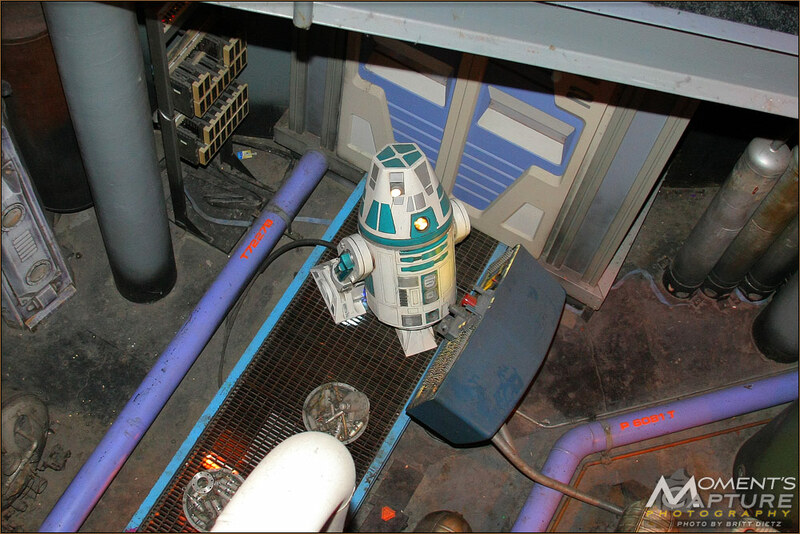 Rounding around that room and heading up to the top, you’re able to look down and see two droids well below you pushing buttons and watching screens. 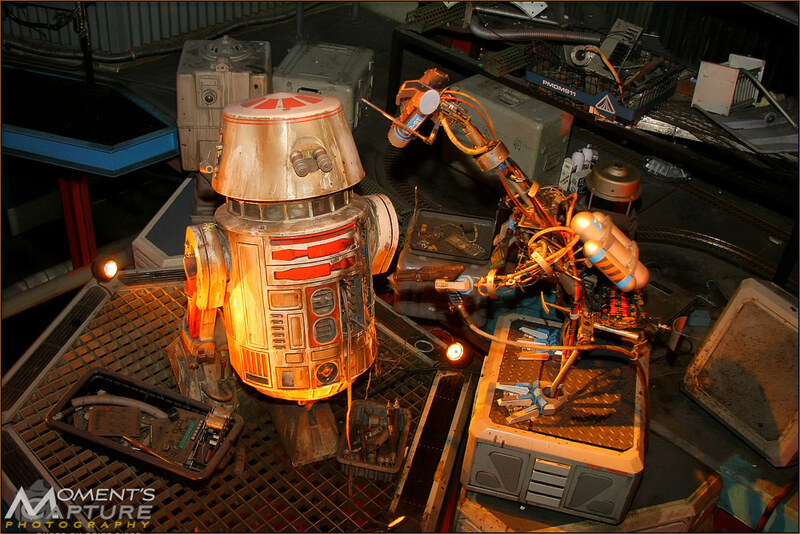 A rumored bit of trivia, one of these droids at the ground floor level, a little astromec droid like R2-D2 with green makings and a tall head, is actually a movie prop droid from one of the Star Wars movies. But that’s all just rumored, I’ve never seen anything confirm that story. After reaching the end of this room at the very top, you turn the corner and pass through a series of black lights and on your way to the turnstiles which lead you to the hour docking stations to board the Starspeeder craft. Before I complete the ride, I’m going to fast forward to the last flight of the night for myself. We ended up being able to take the Endor tour 3 times total, which wasn’t bad considering the amount of crowds that were there. 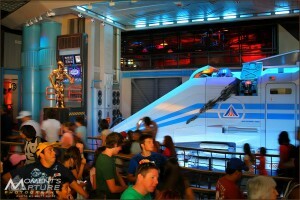 We also tried to not overdo our love for Star Tours in one day, making sure to fit a few other attractions in as well! It was the last flight, however, which was probably the most fun. Arriving at around 11:45pm, we thought we might try and sneak our way into line right at 12am to be on one of the last 4 ships leaving for the far away moon. However, nearly a hundred plus people also had the same idea, and what followed was a chaotic mess of people unwilling to move or enter the line early. Unofficially lines started to form, and people were getting frustrated at the competition to be the last group in line. 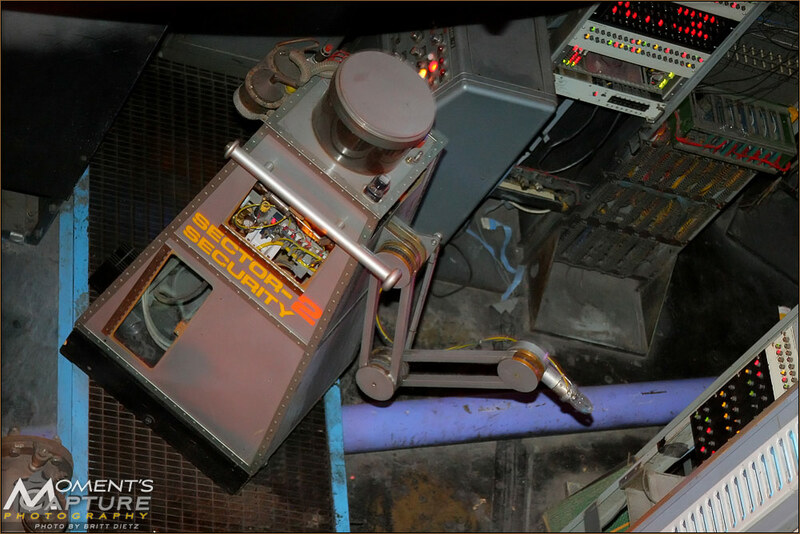 Disneyland security and the Star Tours Cast Members did their best to alert to everyone not in the line at that time that if they were not in the actual line at 11:59 they would not be able to ride the ride. Many people just gave up and went in, but there were many many die-hards not willing to budge and stood defiantly waiting for the last second to jump in line. I will admit that myself and the people we were with all wanted to get as close to midnight before jumping into the line that we could, but ended up giving up and going in line at about 11:58pm, just because of the chaotic mess and we didn’t want to risk not being able to get in line if there was a sudden rush of people. Making our way through the extended queue, flashes were going off all over and many people refused to move from where they were in line, trying to let other people go in front of them so they could be the last ones. 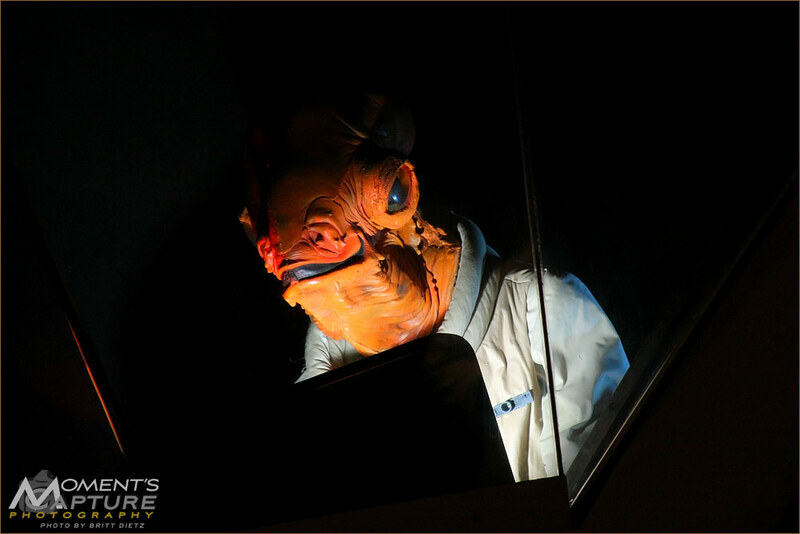 This caused a major traffic jam, and it took the Star Tours Cast Members coming through the line and forcing people to move that traffic started to flow again. Reaching the main queue room with C-3PO and R2-D2 once again for the last time, everyone stopped. Literally, no one would move from their spots and continue on into the next room. It was very loud as the entire room was packed, and everyone was watching towards the entrance to see the last people filter in. Soon enough, small cheers started to erupt as the last few guests rounded the corner into the room, and the cheers grew into a deafening roar as the last guests came in and the doors to the attraction were shut. 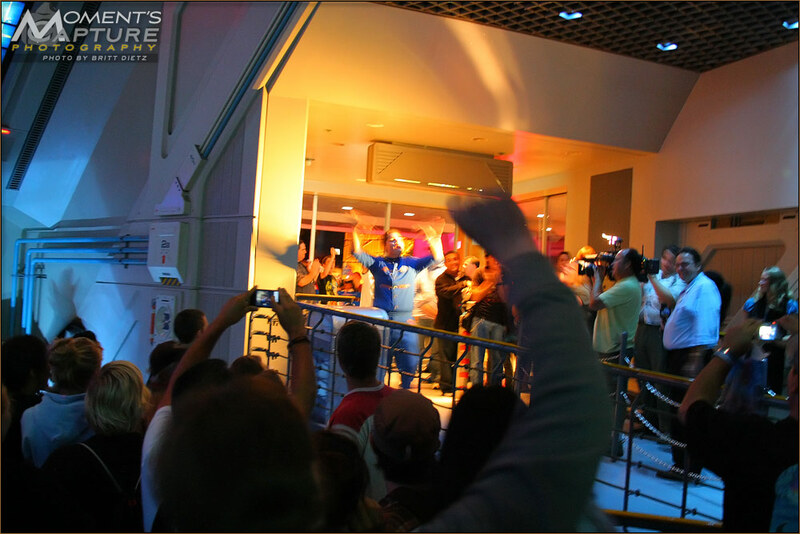 The Star Tours Cast Members, after closing the doors, raised their hands and cheered in triumph along with over a hundred people in this main room, and the cheers just kept on going. It was a great atmosphere as people took video and photos of all the people raising their hands in celebration of being a part of the last big group. The media was there to capture it all, which only helped fuel the cheering and keep people stopped from moving, ABC 7 was there to film everyone (check out the bright yellow light from their camera in the photo to the right). The loud cheers soon morphed into chanting, which we couldn’t quite tell what they were saying from the mix of cheers and chants. But it was an excited crowd for sure, and a wonderful moments to be a part of. 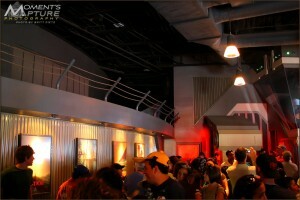 Finally, many people started to realize that no one was moving, and that the Star Tours Cast Members at the top of the next room where the loading of the Starspeeders take place had been waiting for everyone to move up there. 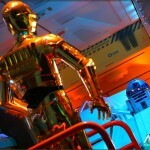 Slowly, people started to move on, many saying goodbye to C-3PO and R2 as they rounded the corner. Things moved pretty fast in the next room, and everyone was now packed in waiting to get through the turnstiles into one of the last few crafts. There were still a lot of people behind me when I reached the #3 spaceport lines, and we figured that after the 4 Starspeeders did their tour there would be one last group for each one to finish it off. So being the second to last group wasn’t too bad considering how many people there were trying to be the last. The spaceport loading areas were incredibly loud of people talking and laughing at the very 1980s preloading video host, a woman who literally looks like she stepped out of any 80s movie. 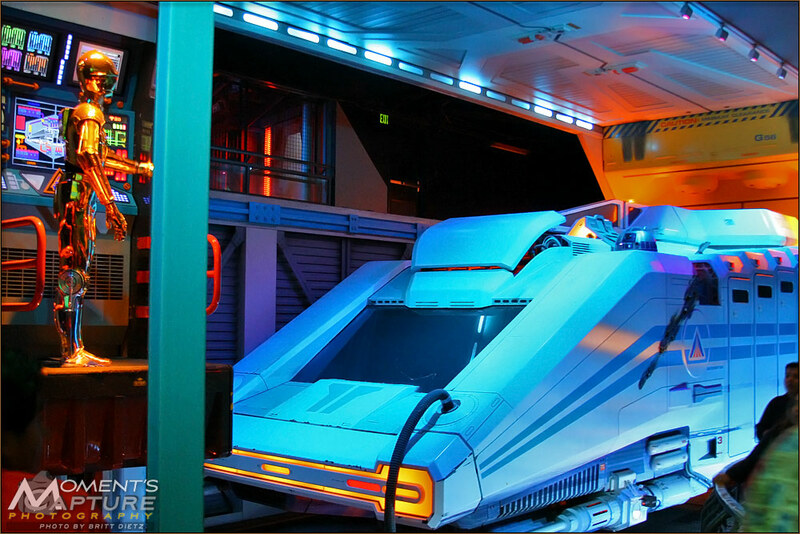 Finally, the doors to the Starspeeder opened and we all stepped inside. 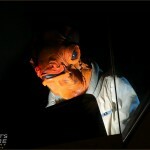 After the usual check of seat belts by a Cast Member, he made one last little spiel about enjoying one of the final flights to Endor, and soon our robotic pilot Rex came on screen to alert us it was time to go. What followed was one of the loudest Star Tours rides I’d ever been on, as most of the room recited not only the dialogue said by Rex throughout the journey (who is voiced by none other than Pee Wee Herman himself, Paul Rubens) but also all the beeps of our navigator R2-D2 and even the musical cues. You couldn’t help but laugh and smile at all this, and even recite along with the rest of the group at the most famous lines during the ride. It was probably THE most energetic crowd I’d even seen on Disneyland attraction. 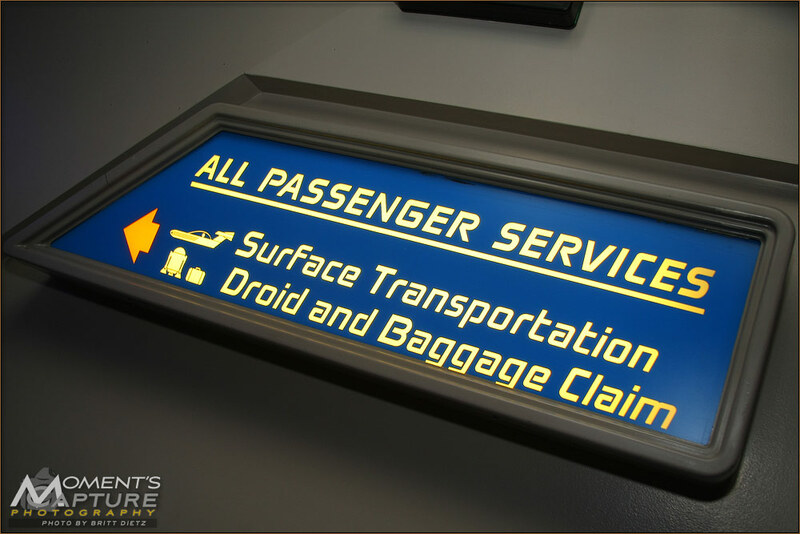 Naturally, once we finally made it back to the spaceport at the end of the ride and C-3P0 came on the screen instructing us to remove our seat belts, the clapping began along with laughing and smiling as we all headed out of the Starspeeder for the final time. 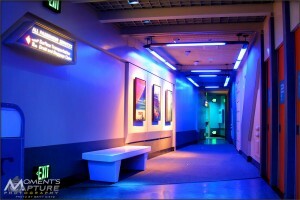 Reaching the main exit corridor, again we found people were unwilling to leave, taking photos of every little thing that was associated with Star Tours from the destination posters on the wall to the Cast Members only signs. I took the opportunity to shoot as much as I could as well, unsure if that was another area that will be changed with the new Star Tours. After walking down the ramp that sends you out of the attraction, we were dumped into the very busy Star Trader gift shop, which is stock full of Star Wars items. Although at this point the park was well past being closed, people were still making final purchases wanting to take home some little Star Wars thing to signify their last time on the attraction in the way it was. 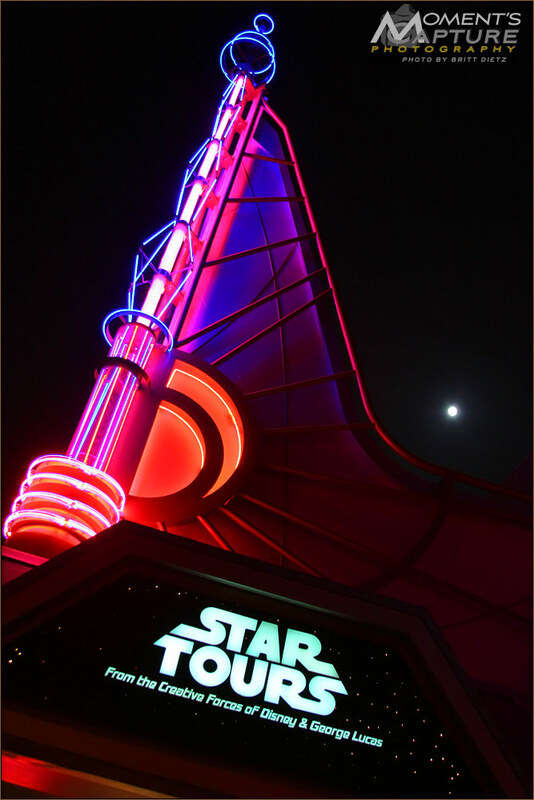 Eventually leaving the gift shop, we headed outside and towards the exit of the park, stopping momentarily to snap a few shots of the entrance to Star Tours with a full moon behind it. It was a fitting last sight of the attraction before the big construction walls would go up that evening. And that ended the last day of Star Tours for most of the guests at the Disneyland Resort. 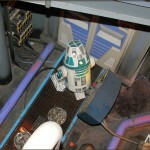 In case you don’t make it back Rex in Star Tours 2.0, I hope you finally made it to Endor! 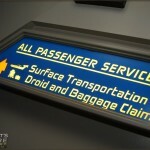 Also, be sure to check out this blog post by Mr. Daps, a Disney fan, about his last flight to Endor! 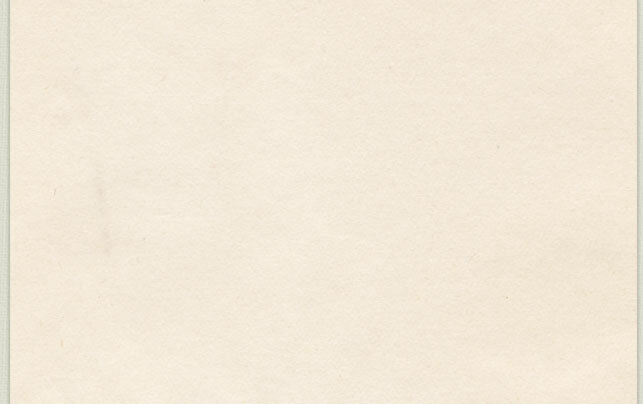 This entry was posted on Thursday, July 29th, 2010 at 10:09 AM and is filed under . You can follow any responses to this entry through the RSS 2.0 feed. Responses are currently closed, but you can trackback from your own site.